The market for high quality bicycles and cycling equipment in Egypt is still relatively very small, but with a rapidly growing potential. The past few years in particular have witnessed a significant growth in demand for high quality cycling equipment. MTB Egypt has been one of the main drivers behind this increase in this demand, being the country’s first homegrown mountain biking enthusiast group and having relentlessly promoted the sport in Egypt for several years now. That said, Egypt still suffers a severe lack of professional bike shops. The selection of high quality bikes, cycling accessories and tools is still extremely limited. 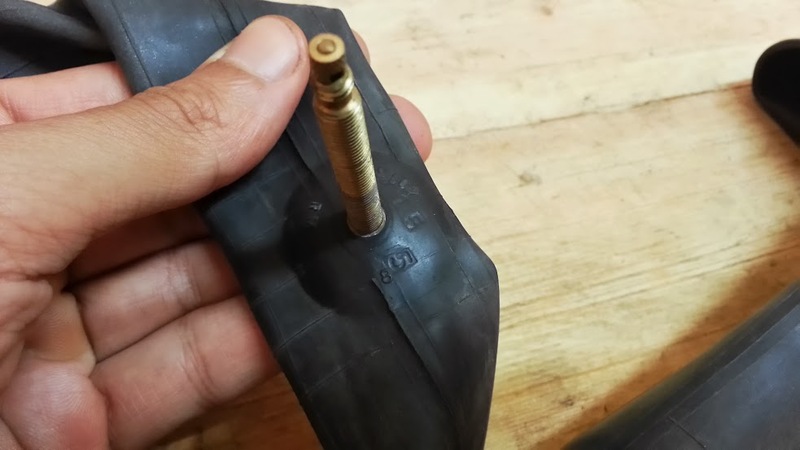 This is the reason why many MTB Egypt riders still opt to import their bikes and parts from abroad, often at the added expense of paying import duties on top of the purchase prices. 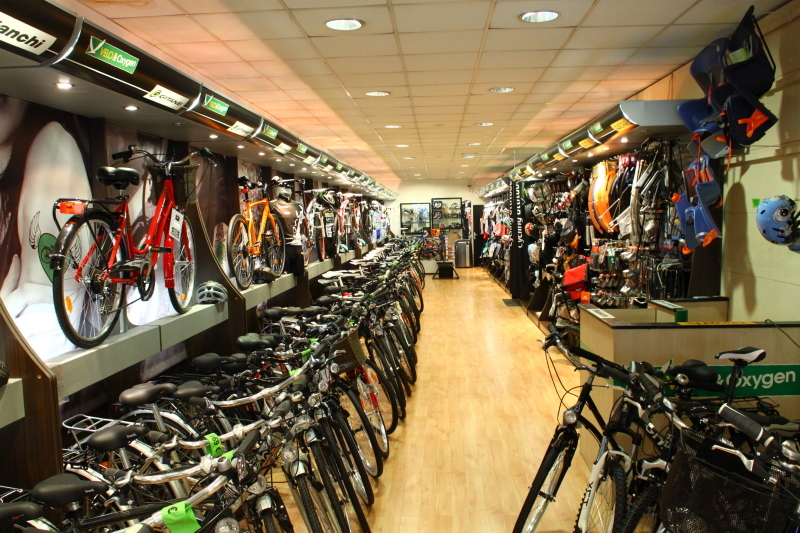 There are indeed a number of establishments that call themselves “bike shops” in Cairo and elsewhere in Egypt, but these are far from being professionally managed, high quality cycling equipment and apparel retail stores for several reasons. In this article, we define what a good Local Bike Shop (LBS) should be/have, then we review a few of the better known local cycling stores to see how they measure up to the demands of the growing needs of cyclists in Egypt. What makes a good local bike shop? 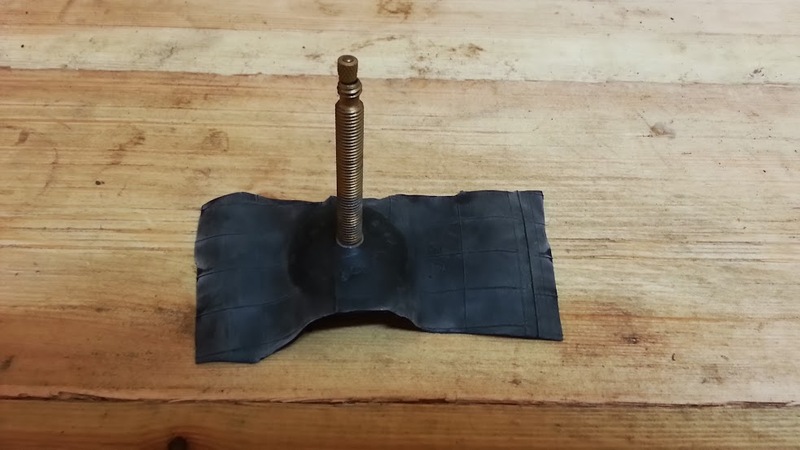 An adequately varied selection of bikes, bike parts, accessories, and tools. Competitive pricing and/or the ability and willingness to offer more lucrative purchase deals in the age of discount pricing on the Internet. Professional after-sales service and skilled bike mechanic(s). This is what we perhaps consider the most important trait of a good bike shop. A good sense of the demands of the local cycling community, and quickly filling these demands. Where are the good local bike shops in Egypt? 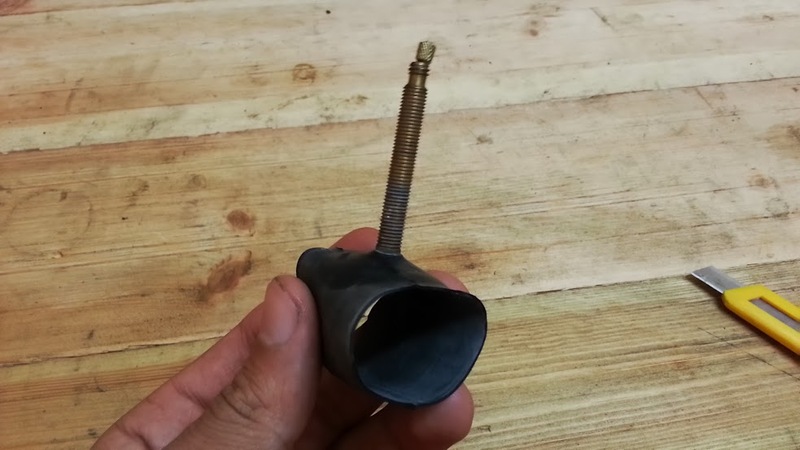 Whether big or small, any bike shop worth its weight MUST be able to fulfill the above four criteria to an adequate measure to be considered a “good” bike shop. What we can conclude from this is that, unfortunately (and at the time of writing this article): there are currently NO ‘good’ bike shops in Egypt! Non of the local bike shops adequately fulfill even some of the above mentioned criteria, and as such, the jury is still out. How we evaluate bike shops in this guide? We get an endless stream of questions from new mountain bikers in Egypt about where to buy their first bikes and stock up on spare parts and gear up with necessary accessories. We are always VERY hesitant to make any local recommendations, simply because we believe that non of the current options are good enough. Mountain biking is a sport that favors high-quality, durable and dependable bikes and equipment. For the purposes of having a rough guide, we will make this review of Egyptian bike shops an annual feature to be updated with new shops AND new information about existing shops. 1= Average. Could be improved. Availability of stock: (of a good selection of bikes/accessories/parts/tools/ and good stock of frame sizes). The mark given on each of the five points will be at the end between parentheses like so (1). Then a total mark out of ten is given for each. 1 being a very bad bike shop, 10 being an outstanding one. We will NOT provide links to or contact information for any of the reviewed shops because MTB Egypt is not affiliated with or does not particularly recommend any of them. They are also listed in alphabetical order. 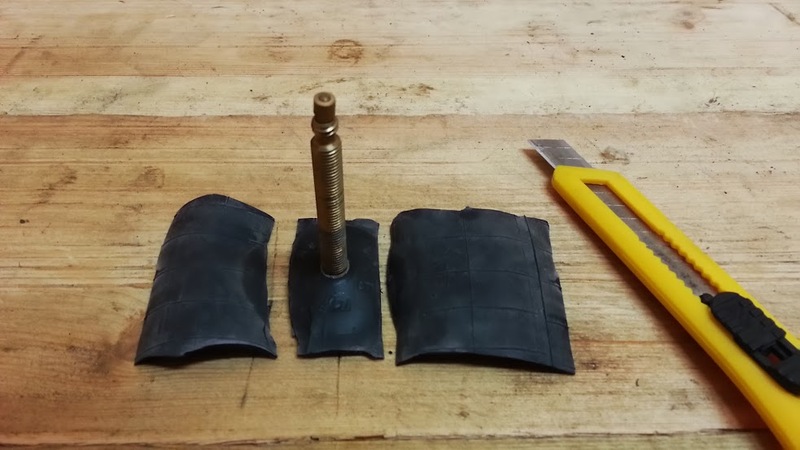 How do the “bike shops” in Egypt measure up? Kind of an old name in importing cheap chinese bikes and parts in Egypt. Has a few branches around town but good luck figuring out if they’re the same management or just the same family name. The ‘main’ branch is in downtown Cairo in one of the worst locations to find a parking spot ever. 5. Market sense: (1) They offer a reasonably-priced beginner bikes and basic accessories, which are important for our beginner riders, otherwise not much else to mention. 2. Pricing: Their pricing appears to be too high for the spec of the bikes offered. Parts and accessories are also not very competitively priced. 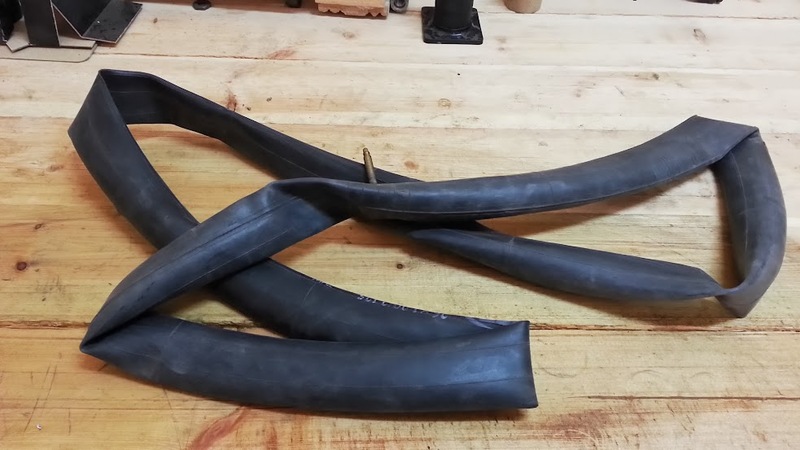 (0) UPDATE OCT 2013: It came to our attention that 3agal Masr sells inner tubes for L.E. 185 PER TUBE, which is insanely expensive. They extremely overprice their products. 4. After-sales service/bike mechanics: They do not have a skilled bike mechanic, but have handled warranty claims well according to MTB Egypt riders. They also sort of ‘outsource’ some maintenance issues to outside mechanic. (0) UPDATE SEP 2013: It came to our attention that the owner of Sports World 360 charges for warranty claims, which is something that should not happen for products still under warranty. As such, we downgrade the after-sales service mark from (1) to (0). Which one do we recommend? None. Until there is a shop that adequately fulfills the criteria of a “good bike shop” as we outlined, we will always hesitate to recommend any of those shops or similar others. Shop around and see where you can get the best deal and where you are likely to get the best after-sales service. This guide will be periodically updated to reflect changes in the market. This review does not necessarily mean that all of those bike shops are ‘bad’, some of them certainly have strong points, but it means Egyptian bike shops have a lot of work to do to cater to a rapidly growing and discerning market. When and why did you start cycling? I started cycling 2011 , Actually my childhood was almost spent on bikes, and it popped into my mind that I should be back especially when I joined MTBEgypt group on Facebook on 2010 , it was part of the motivation that I could be back on the bike. Tell us about your bike(s)! : The first bike was Orbea Dakar 2011, I ride this bike for 8 months , then I switched to Specialized FSR XC 2009 that I bought from a colleage at work. I’ve made some good upgrades on the bike , I’ve upgraded the fork to Rockshox Reba RL 120mm travel and switched from V brakes to Shimano XT disk brakes which both made a huge difference in riding in the wadi. Favorite ride(s): Short technical ones in general are my favorite in addition to Wadi Hof ride, which I really like. The most famous one was when I fell off that narrow steep descent before the balcony, I couldn’t raise my arm more than half the way for about 2 months , I had pain in my ribs and clavicle for 6 months. I also crashed once after the final descent which made lots of bruises in my body till the moment but I was able to ride normally right after. I love mountain biking and I love MTB Egypt riders. I am still an undergraduate student ( not for so long hopefully ) , I study Economics at MSA university. I never had a bike when I was a child and I always wanted to get one ,but my parents were too protective of me, so I got my first bike behind my parents back when I was 19. Did you start riding road, off-road, or both? I started as a roadie till I forgot my headphones on 100 km ride and that’s when I figured out that life is too short to be doing this ,so after that someone introduced me to MTB and since then my tires only rolls on dirt. My first one was a Chinese mtb bike , I exchanged that one 1 month later with my friend’s hybrid bike, later on when I started mountain biking I got an Orbea Compair (my current bike) , which a decent hardtail equipped with Formula RX hydraulic brakes , XT rear derailluer and a Rockshox Tora fork. MMA , tennis and football. once I was trying to KOM the short loop and had a flat tire just before the final descent and I didn’t notice at first , then near the end of the segment I crashed and fell to the left , ended up with a missing tooth . Also there’s my famous Wadi Hof ride accident when the wind pushed me off a ridge sand I fractured my wrist and had to ride my bike with one hand for 22 km to get back to the gate. I am very happy and grateful that I found out about MTB while I am still young and also for making a lot of cool new friends on the trails. Age: 39 Where are you from? : New Orleans, Louisiana USA originally. What do you do for a living? Aircraft Maintenance Engineer. When and why did you start cycling? I started at age 7. It’s about the closest thing to flying that you can do under your own power. What kid doesn’t like the feeling of speed & distance? Tell us a bit about your bike(s)! : Over the years, I’ve had “big box store” BMX’s, roadies, & MTB’s. Now I have a 2013 GT Aggressor 1.0 hardtail, stock accessories except for the Weirwolf 2.3 tires. Favorite ride(s)/trails? 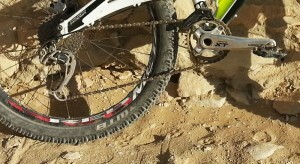 Extended Corporate Loop, Wadi Hof, Tour de Wadi. Do you practice other sports? : Fishing, weightlifting, swimming. 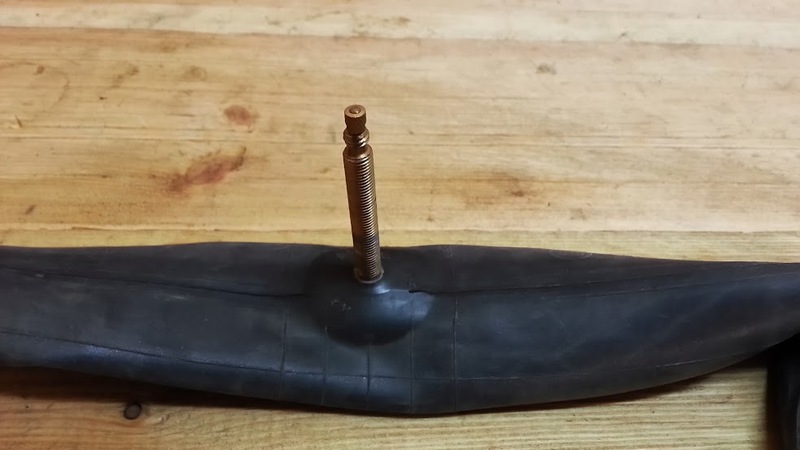 Tell us about your cycling-related injuries/accidents: As a teenager on my road bike, one of the brake levers fell off & went into the front wheel spokes, immediately stopping the bike. I went otb in the blink of an eye onto the concrete, scraping up my hands & breaking my new Swatch. Another time, I was riding full speed on my road bike & went mouth first into the back of a car, rearranging my front teeth. The worst was when I was 12 years old on my BMX. I hit a dip hidden by high grass. The bike stopped & my knee hit the bars, splitting it open to the fascia. Anything else you want to tell us about yourself? I’ve lived in Cairo for 6 years…good times, good times…it’s been a blast! I am married with three children. It’s been great riding with the MTB Egypt gang. 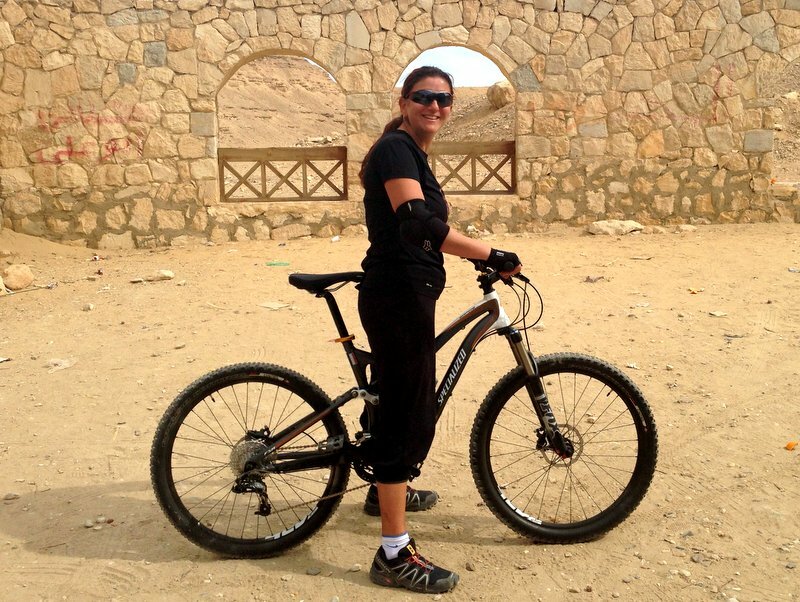 I stumbled onto MTB Egypt on the internet & was hooked after my first group ride. I really enjoy the people, the laughs, & the wide variety of terrain in the Wadi Degla. 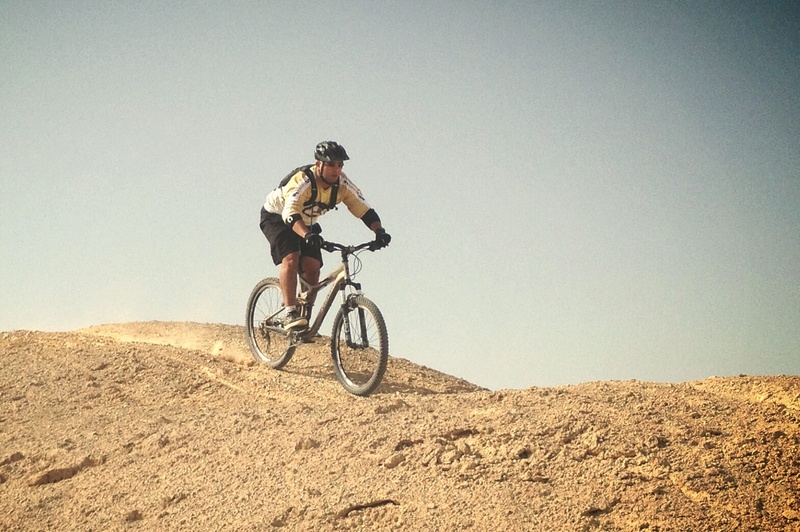 I’m in the best shape of my life since MTB Egypt introduced me to serious mountain biking. Rule number 5, Baby! Mountain bike suspension technology has taken some fairly big strides forward in recent years. When you buy a new mid-range or high-end suspension fork or rear shock, the technology inside these components is comparable to technologies inside modern motorbikes and sports cars, only in a much more svelte and lighteweight package, which makes it all the more impressive. As mountain bikers, we now have an increasingly broad spectrum of options in terms of type, adjustability and tunability of our mountain bike suspension components. That said, getting the most out of your suspension is as straightforward as it sounds, with a multitude of knobs, buttons, levers and adjustments that can be very confusing for beginner and even intermediate and advanced riders. This multi-part guide is intended as an introduction to mountain bike suspension technology and should help you get started with exploring how to tune your suspension to suit your riding style and terrain. 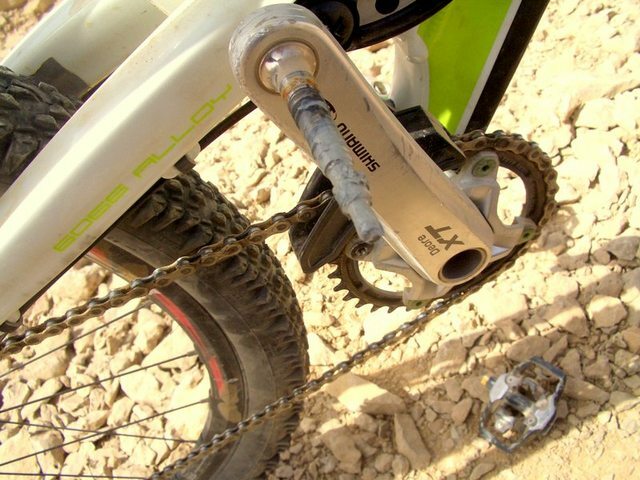 There are many articles on the internet that offer information on how to setup your bike’s suspension, and there is a wealth of information in mountain biking forums on setting up, tuning and servicing specific suspension components. All that in addition to the manufacturers own official guides, of course. This multi-part guide is intended to present information on mountain bike suspension fundamentals in a useful, organized format that will be published here in bite-sized posts. 1. 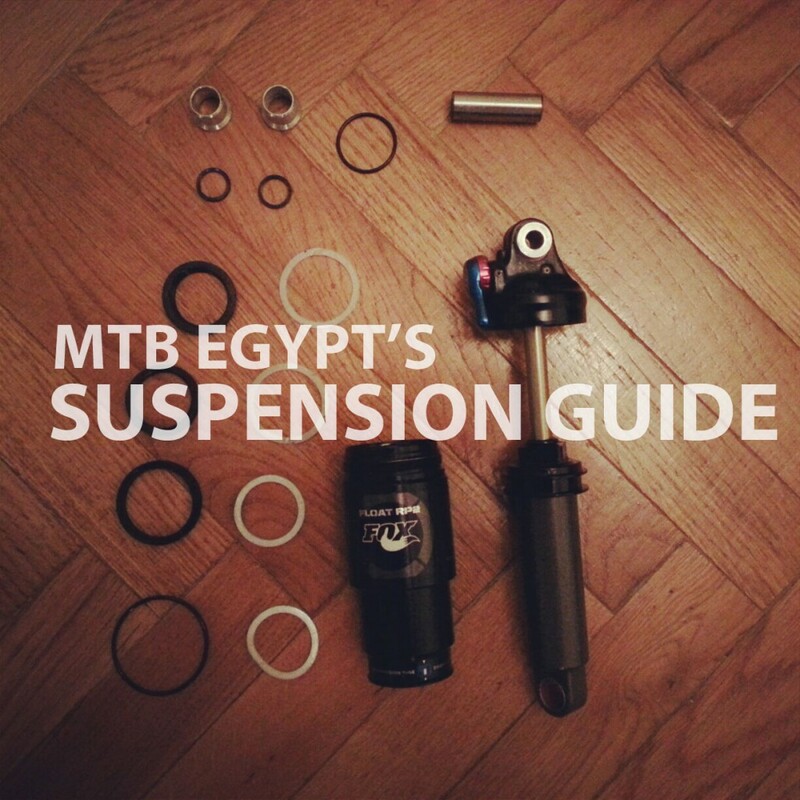 Introduction: The purpose of mountain bike suspension and a short glossary of terms. 2. Basic set-up: Finding the optimum setting for your weight, terrain and riding style. 3. 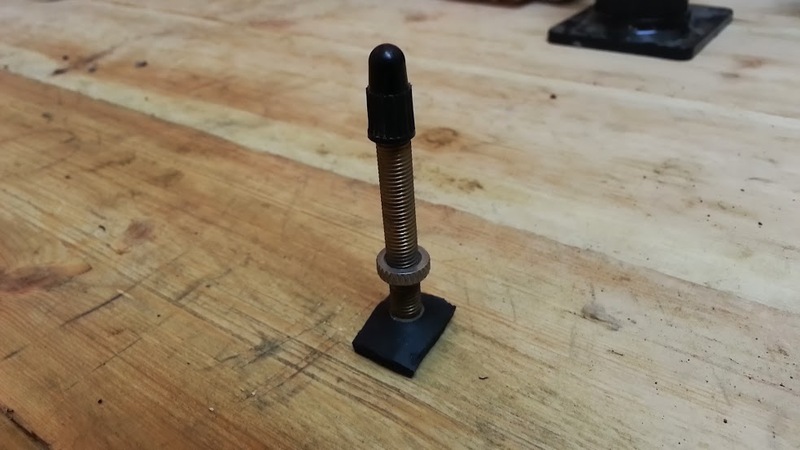 Trouble-shooting: solving problems with your front or rear suspension. 4. 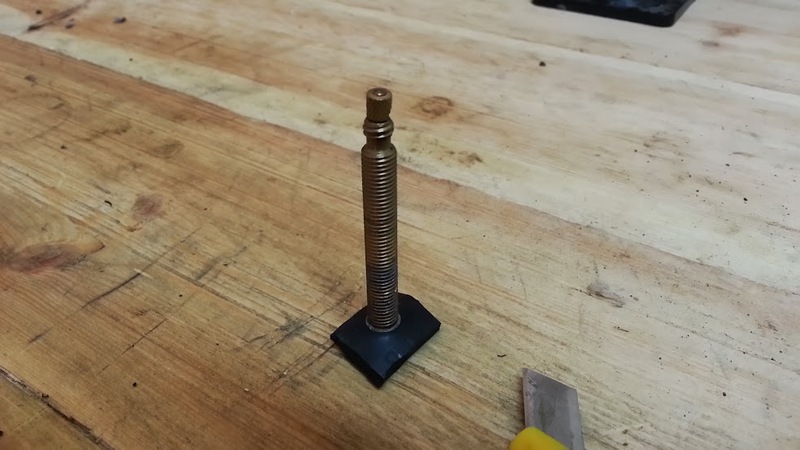 General suspension maintenance and advanced tips and tricks. The first art will be published by this weekend. Stay tuned! P.S> You can follow us on twitter to get updates, or “like” our Facebook page. I am an electrical Engineer who is currently a stay at home mom. I have been riding when I was young with my brother like all kids, then I returned to cycling as a transportation method in Europe in 2001. I was spending a summer in Germany where everybody cycles to and from work. I also did some traveling on bike back then. This brought cycling back into my life and ever since, whenever I get the chance to bike I go for it. Now mainly off-road but I don’t mind road cycling around the house. I love cycling anyway. I ride a 2013 Specialized Safire Comp. It is a full-suspension 120mm travel woman specific bike. I love it. 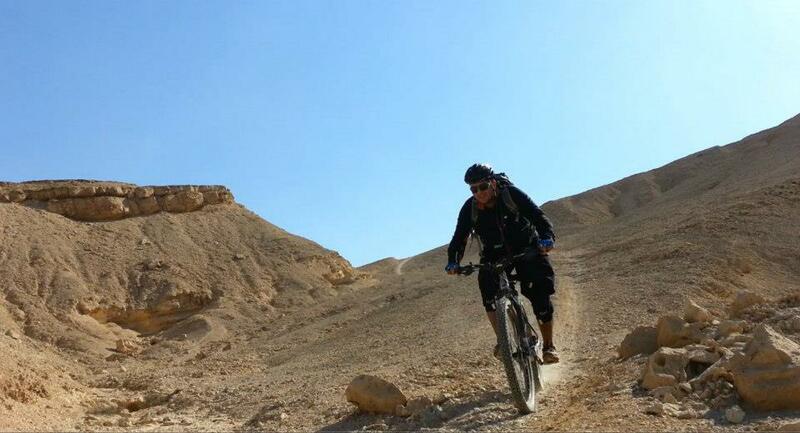 Wadi Degla’s “Long loop”, extended Long Loop, half Tour de Wadi and of course Wadi Hof because it is challenging. I am still ‘mentally unfit’ to ride the very narrow ridges but I am getting braver every time. I come all the way from 6th of October with my husband 2 to 3 times a week and I have to leave my baby at home sometimes for 6 hours to come to the trails. I am always worried and feeling bad that I leave her behind for long hours and stay far away from her. I guess this is what proves to me that mountain biking is important to me and that I enjoy it to a large extent. Shimano XTR trai pedal: pedal body came off axle without warning! 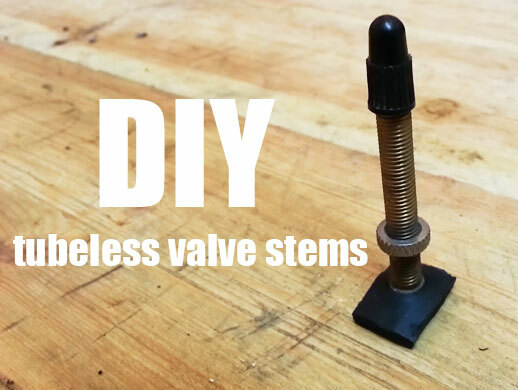 …if you google something like “XTR pedal failure” many more forum threads will turn up. You’ll get a sense of how prevalent the problem is. 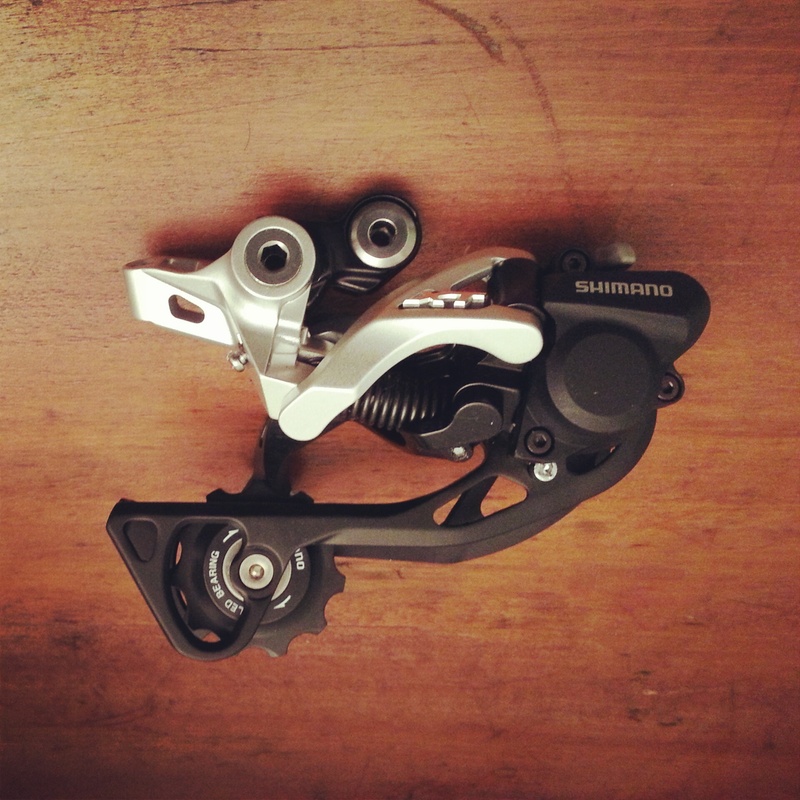 Some of the forum posts about this issue are dated more than a year ago, and at the time of this writing Shimano has not issued a recall. Considering how the problem appears to be endemic to PD-M985 and PD-M980 models, there are clearly serious manufacturing defects with these pedals. This is a dangerous thing to happen on a ride, especially while bombing down technical, rocky trails. I reached out to Shimano via their Shimano MTB facebook page, but yet to receive any response. Update: Shimano DID replace the faulty pedals with a brand new pair in June 2013, but there was never an official acknowledgement of the problem from the company. Maybe XTR is still worth buying if only for the extended warranty! Where are you from? : Cairo, Egypt. What do you do for a living? I run a stock brokerage company . When and why did you start cycling? Like every kid I rode a bike but living in Cairo didn’t allow my riding to endure. I took it up again in Dubai for fitness purposes. I bought a mountain bike because it is more comfortable than a road bike then just rode it on the road. 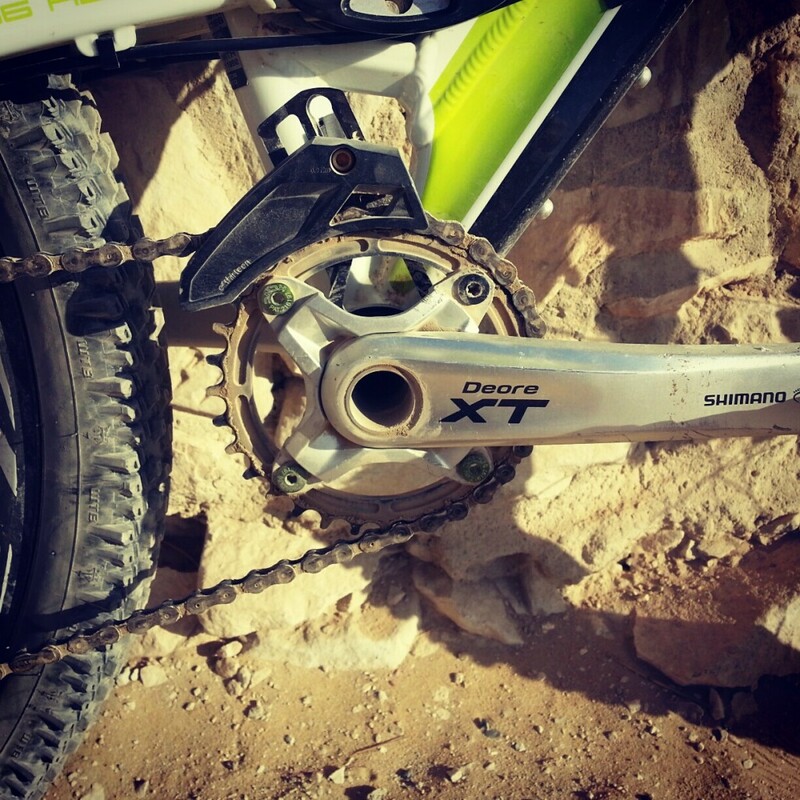 I have spent a lot of time in Wadi Degla in my teens and early twenties which obviously begged the idea of “why don’t I ride in Degla”.I asked around and someone mentioned “MTB Egypt” to me. I tracked you guys down and the rest is history. Needless to say riding in Degla ruined road riding for me for good. Tell us about your bike(s)! : I ride a 2012 Scott Spark 29er Elite. It is a full suspension bike with 100mm of travel. Favorite ride(s) (road or off-road): Long loop. Extended long loop. Half-Tour and Tour de Wadi. 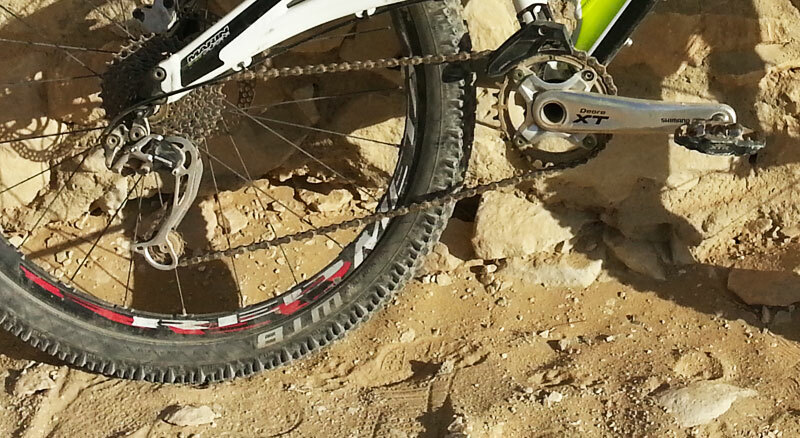 Would like to do the Quarry again and riding in Sinai mountains is the dream. Do you practice other sports? : Tennis twice a week and I go to the gym 3 times a week. Tell us about your cycling-related injuries/accidents: 1- Due to reasons that will not be mentioned here, I fell on an upright handlebar while going downhill that hit the spot where the thigh meets the pelvis. That did hurt. The rest of my fall involved hitting my ribcage against a rock. 2- This one I was just out of a big downhill where I really let the bike do its thing only to have the front start playing around at high speed. I guess the front wheel did that because my weight was shifted too far back. Right knee has been in pain for a week. It hurts when I run or walk but luckily it doesn’t hurt when I ride. Anything else you want to tell us about yourself? I am a musician and riding a mountain bike on a trail gives me the same rush I get from playing music. 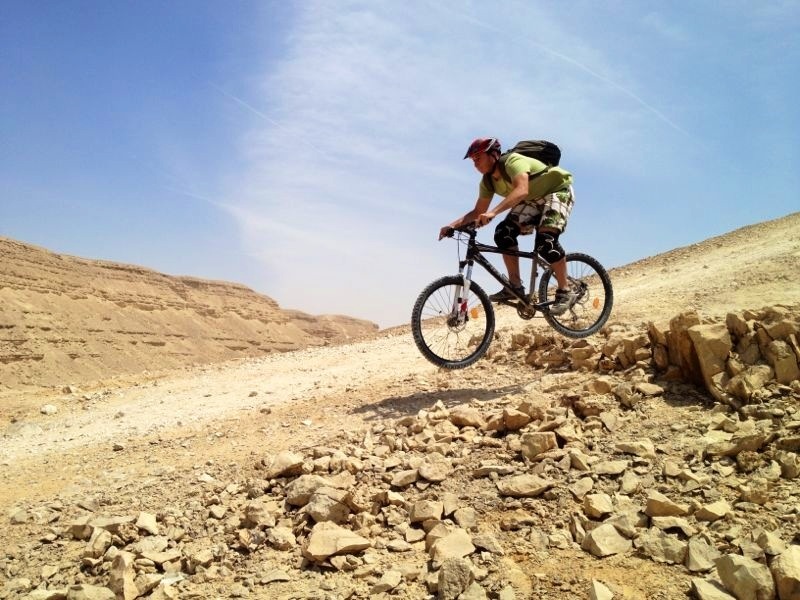 Mountain biking with MTB Egypt is an activity that my wife and I pursue religiously now. MTB Egypt has the highest concentration of cool people that I have seen in any group before. See you all hopefully many more times on the trails. Peace. In praise of the single ring: why go 1x? My 1x9 trail riding setup with an E-Thirteen 32T Guidering and XCX chainguide on a Shimano XT crank coupled with an XTR 11-34 cassette. 1. Less maintenance: With a 1x system, you lose the front (left) shifter, front derailleur, shifter cable and housing, and at least one chainring (depending if your started out with a 2x or 3x crankset). 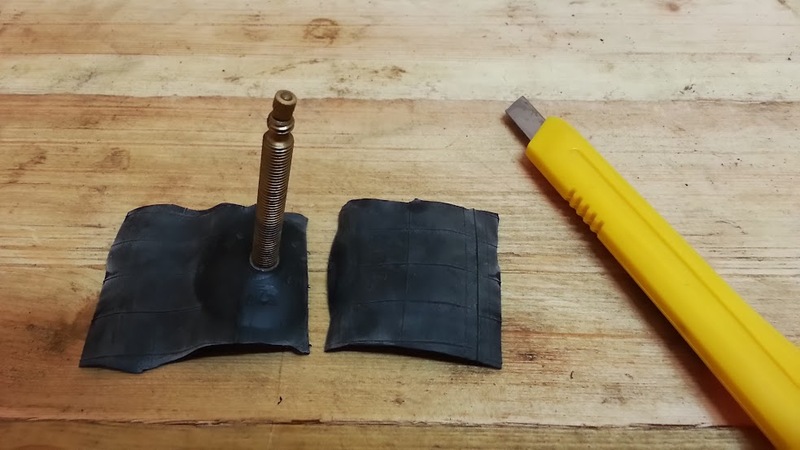 This means less parts to maintain and/or replace on your mountain bike. Chainrings are one of the quickest-wearing parts on your bike, and replacing a single ring is always cheaper than replacing two or three. 2. 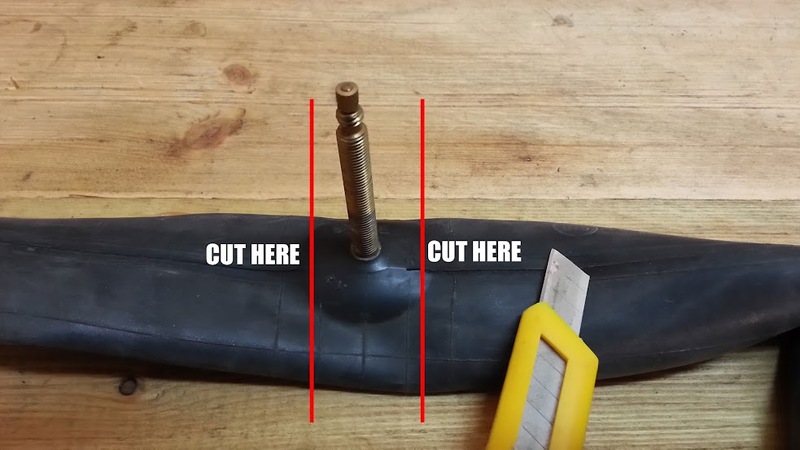 Less weight: because you will no longer need the components mentioned above, you are saving some weight from your bike. While gram-counting and extreme weight savings are not something recreational riders should worry about too much, a lighter bike is always welcome, especially if you ride in a rather hilly terrain. You can loose as much as 400 grams from your total bike weight by going 1x. 3. Less thinking: With a traditional 3x or 2x system on modern mountain bikes with things like adjustable suspension and dropper posts, things can get too complicated with brake and shift levers to push/pull, seatpost buttons to press to drop/raise your saddle and knobs to turn to drop/raise your fork or lockout/open up your suspension. When you want to concentrate on picking good lines and going faster, it could be too much technology to deal with in the saddle. Taking front shifting out of the equation definately contributes to simplifying things. On my bike, the left-hand side of my handlebar has the front brake and the dropper seatpost button, and the right-hand side has the rear brake lever and the rear shifter. Things are simpler, and I can concentrate more on the riding. 5. Less chainsuck/drop: on multiple chainring setups, the chain is often forced to run at uncomfortable angles, which increases the opportunity of annoying things like dropping the chain, chainsuck and also makes for a less efficient drivetrain (the straighter the chainline, the more efficient your drivetrain is). As mentioned, things like clutch rear derailleurs, coupled with simple top-only chainguides (like the E-Thirteen XCX or MRP 1x) can significantly increase chain retention and enable you to go faster on rougher terrain without worrying about the chain coming off. SRAM’s new XX1 group’s chainrings even has special tooth profile that are claimed to prevent chaindrop without the need for a chainguide. 6. Better ground clearance: With a smaller ring on the front, your chances of bashing it on trail objects is reduced. Modern mountain bike geometry is leaning towards slacker, lower bikes for more stability at speed, but at the expense of ground clarance. You can counter this by going 1x and even adding a bashgaurd for additional protection if you ride aggressively in a particularly rocky area. Single ring setups often have improved ground clearance and put your chainring further up and away from harms way. 7. Stronger legs: Contrary to popular belief, going 1x will not cause you to lose a lot of gear range compared to 2x or 3x systems. You only forgoe the lowest gears (granny) and highest top-end (big ring), which are gears that you rarely use anyway (for most riders). Also, a lot of your 2x or 3x gear combinations are duplicate or crosschain gears that you do not use anyway. You will also deal with not having the granny by pushing a slightly longer gear on tough climbs, which only means that you’ll become a better, stronger rider! I have been running a 1×9 system for sometime now and very happy with it, and the only thing I would miss sometimes is the upper end of the range on fast, wide open (not too technical) descents (you can always run a bigger chainring to suit the terrain you are riding). Converting your existing setup to 1x is easy and reversible (you can always go back to 2x or 3x if you don’t like it). With the introduction of dedicated 1x systems such as SRAM’s XX1 with it’s massive cassette range and 1x-specific chainrings, multiple chainring systems are loosing their appeal for the majority of mountain bike applications.